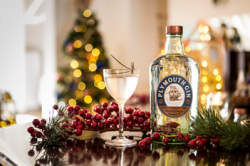 Here’s something a bit special to get the Christmas spirit going – Plymouth Gin has teamed up with Rivington Shoreditch to create a festive experience where guests can enjoy a selection of bespoke winter cocktails with a chance to win exciting gifts. From now until the New Year, guests that treat themselves to one of the special cocktails at Rivington Shoreditch will be able to pick a message in a bottle off the Christmas tree for a chance of a Christmas miracle. Rivington Shoreditch has created a bespoke menu of neo-classic and daringly modern cocktails that celebrate Plymouth Gin’s unique character and heritage. It includes short, long and hot serves as well as one which has been aged in an oak barrel for 14 days. 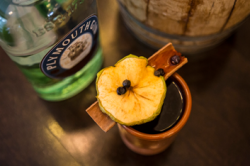 The series of specially created gin cocktails – with all ingredients specially hand selected by Rivington Shoreditch Bar Manager Piotr Jedrzejewski – are all inspired by naval traditions.